Music can make magic happen in our brains, so make a fascinating presentation about it! 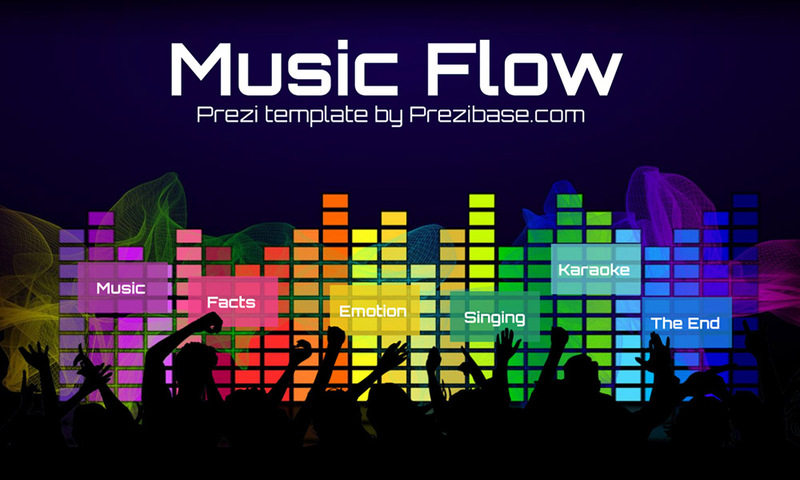 An audio/music themed Prezi Next template with a colorful equalizer graphic on a colorful dark wave background. Zoom into the colorful rectangles and insert your own content. Present about famous bands, the science of music, clubs, promote a concert or your own work. This entry was posted in Best Prezi presentation templates, Prezi Next Templates and tagged audio, audio bars presentation template, audio bars prezi template, band, bass, color bars, color prezi template, colorful color boxes, colorful music, copyright, dancing, disco, equalizer, flow, music, Music presentation template, music prezi next, musical, prezi next music template, sing, singer, singing, song.